It sure seemed like a dream come true when Disney and Sphero announced that a functioning BB-8 droid would be available in time for the holidays. Of course, that excitement dimmed a bit when we discovered that the smartphone-controlled toy was about the size of a smurf; it was downright depressing to learn that it wouldn’t be projecting half of the galactic map needed to locate a reclusive Luke Skywalker. 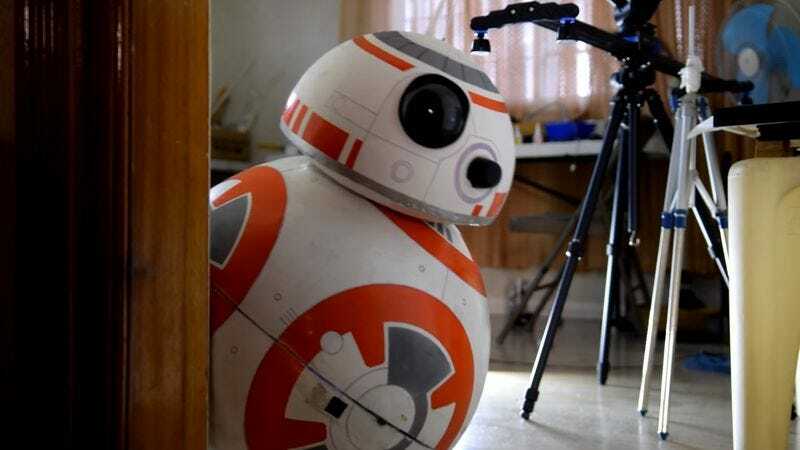 Of course, there’s been some DIY instructions to create you own ball droid, but like so many other STEM-related projects, BB-8 has been hampered by the need to fork over some cash to get a 3-D printer, at which point you might as well just buy the official version. Like a Jedi master sensing a million consumers crying out in frustration, 17-year-old Angelo Casimiro feels your pain. The builder from the the Philippines started with the Sphero version of the toy, and then came up with his own process for building BB-8. The result is a relatively easy way to create a life-sized, smartphone-controlled version without the need for a 3-D printer. But the best part is that the project resulted in a week of quality father-and-son time over the holiday break. If only Darth Vader and Luke Skywalker followed a similar path, there would have been more positive bonding and fewer hands being hacked off. For homemade droid enthusiasts, you can follow Casimiro’s step-by-step instructions over at Instructables.